Time to go play, it’s the weekend! 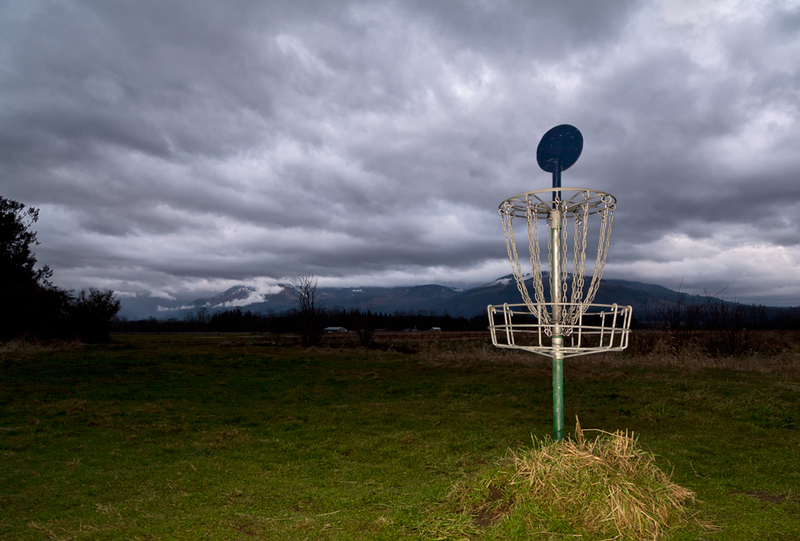 One of the things they have done at Northern State Hospital is the addition of a Frisbee golf course, this happens to be the the second basket (do they call them holes in Frisbee golf?) taken right around sundown. Strobist info: A Canon 580 EX II on manual @ full power shot through an Apollo 28″ softbox above the hole and a bare Canon 430 EX II, manual @ 1/32 power laying on the ground in front of the subject. Want to see it clearer? Great position of two lights to hide the shadows they’d cast. I can see so far in this photo. Loved the clouds on the mountains and how they are a part of the whole thing. They are pretty cool looking aren’t they? Glad you liked the image Nandini. Thank you for your comment Nia, glad you liked the image. Great clouds. I use to visit an old park that had these and since there were never people there, I didn’t know what they were actually for, the frisbee golf. I thought the were some kind of weird & dangerous animal feeders.